Are you looking to join a team that builds infrastructure and tools at a large scale? Are you passionate about security, scalability, and availability? Do you want to be a part of an emerging DevOps culture that values quality and speed? Within the Transactional Services Operations Team, we’re all about inspiration, challenge, collaboration, innovation, and having a say in what you do. 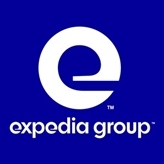 Through our energy and passion for delivering highly reliable systems to our customers, we empower Expedia’s brands to deliver best-in-class experiences for booking travel. We’re looking for an Application Engineer II who can help us build our platform of foundational services, and ensure the operational excellence of some of Expedia’s most critical services. The right individual embraces the opportunity to tackle challenging problems and drives continual improvement. They will work with the cutting edge of technology, including Amazon Web Services, Kong, Docker, Jenkins, Chef, Splunk, AppDynamics, and more. Develop innovative solutions that solve complex infrastructure problems at scale. Build foundational tools that enable us to operate services safely and securely, focusing on performance, reliability, and scalability. Help our team grow with good judgment, sound decision making, and spreading knowledge. Develop best practices that ensure operational excellence across software teams. Provide support and consultation for service/network architectures, production incidents, and operational activities. Practical experience with security and networking technologies and principles. Extensive experience with Linux administration and engineering. Experience developing automated solutions with tools such as Jenkins, Chef, AWS CloudFormation, etc. Demonstrated experience building solutions with Amazon Web Services (AWS) and/or other relevant Cloud Infrastructure solutions like Microsoft Azure or Google Cloud.